RIYADH (Reuters) - The Iraqi Federal Court on Monday demanded the equalization of pensions for MPs and provincial council members, according to the Iraqi News Agency (INA). 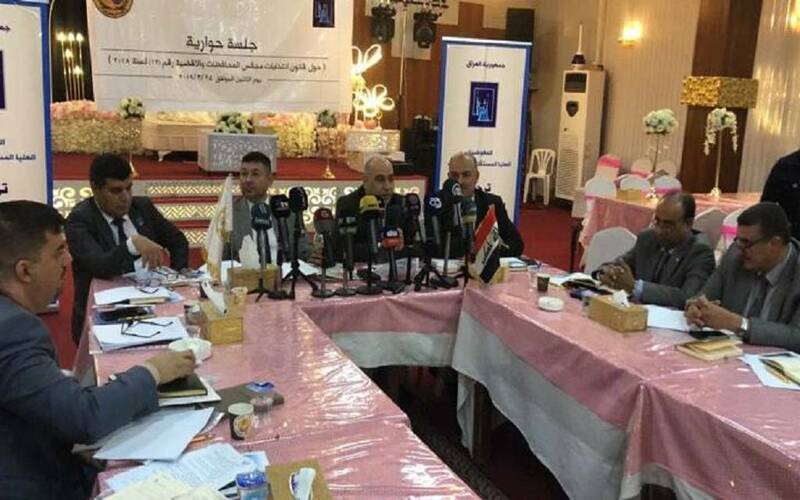 The spokesman of the court Ayas al-Samok, during his participation in a seminar organized by the Independent High Electoral Commission in cooperation with the Union of Iraqi Jurists on the law of elections provincial councils and districts, the Federal Supreme Court confirms its ruling number (140 and units 141 to 2018), to make pensions to members of the Council Deputies according to the unified pension law, like other state employees. He added that this should include the members of the provincial councils in accordance with the principle of equality among Iraqis contained in Article (14) of the Constitution, stressing the subject of the expenses of these councils to audit the Office of Financial Supervision in order to maintain public money. The spokesman said that the Federal Court supports the trend of reducing the current number of members of the provincial councils and make them in accordance with the souls of each province and set a higher limit for each province, as well as make nominations for the provincial councils varied to include all competencies in society such as rights and engineers and other specialists of scientific and humanitarian. He continued: "The Federal Supreme Court confirms the subject of the expenses of the provincial councils to audit the Office of Financial Control to save public money and prevent any waste may occur, and stresses that the seats in provincial councils in accordance with the will of the voter, and the preservation of the rights of all components of the Iraqi councils in implementation Of Article 49 (I) of the Constitution ". The official spokesman of the Iraqi Federal Court, that the court confirms its ruling No. (13 for 2007), the granting of quota for women in the provincial councils by not less than 25% of the total seats; as the House of Representatives, although not provided for in the law of provincial councils Organized in the territory.